2011 - another great year! 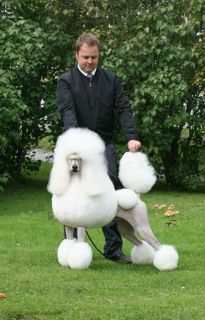 Nappa, our white toy poodle from Japan, Ch Smash JP Millionaire had a great career 2011. 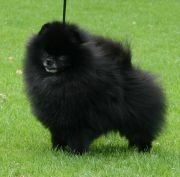 He started winning last weekend of May and continued in style winning 12 group-1'sts and 5 All breed best in shows. 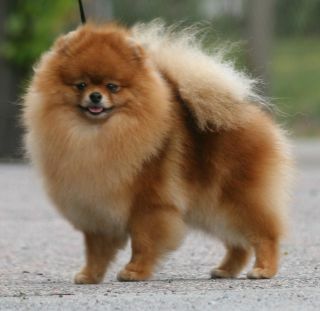 He is probably the highest ranked toy poodle ever in Sweden. 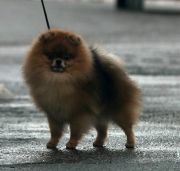 We have also had top Pomeranian, Ch Callevys Without a Trace, who collected 161 points while number two had 37! She won two Group-1'st during the year and several Group-2's as well. 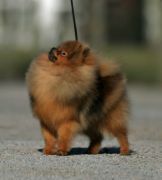 She won CAC's both at the World Show and the French National and finished the french title. 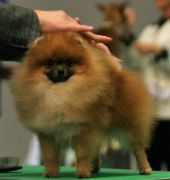 We also had other nice wins, the pom Callevys Crawley Beauty won an all breed puppy BIS and qualified for Swedens Top Puppy which will be held in 2012. Our new hope, Callevys Empire. 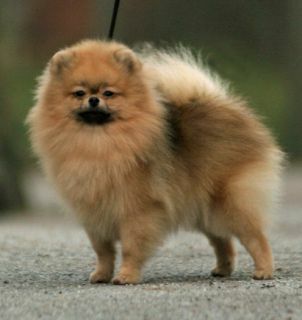 Pictured at 8 months.